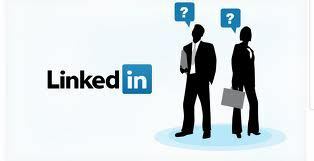 This article marks the third of making your LinkedIn profile stronger. The previous two talked about your Summary and Experience sections. Before you read any further, I’d like you to take a moment to read one of the most comprehensive articles on LinkedIn’s Media feature. It’s an article written by my colleague and valued LinkedIn connection, Sabrina Woods, in which she describes 18 different ways to use this feature. Eighteen different ways! Boy, did she do her homework. With at least 18 ways to use LinkedIn’s Media section, this gives you plenty of options to show off your goods. So why not take advantage of it? You can use it in your Summary, each in your Employment section, and in your Education. Here are four major reasons why you should utilize Media on your LinkedIn profile. It’s your online portfolio. This is what I tell my LinkedIn workshop attendees when I describe Media. Similar to when you bring examples of your work to an interview, you have the opportunity to show the world your best work. As Sabrina writes, there are at least 18 ways to use this feature. Everyone can find a reason to use it. And they should. For example, I lead workshops where I use PowerPoint presentations—please no heckling from the true presentation purists out there. I use Media to show off three of my PowerPoint presentations. An engineer may use this feature to illustrate his work on wind turbines by using YouTube. One of my customers who’s a graphic artist highlights her graphics in Media. Neal Schaffer, an expert on social media for business and author of Maximize Your Social, uses YouTube to share with the world his interview by Kooger in London. Check it out. It fits your communication style. Some people are visual communicators as opposed to written communicators. They have the knack for making people see the value in their graphic design or photos or architecture…but can’t express it as eloquently in words. One of my customers expressed it nicely when she said some people express their thoughts with words, while she expresses her thoughts through images. The options are numerous. While you’re given the option of adding a link or downloading a file, the number of providers is mind boggling. Two of the more common documents displayed in Media are Word and PDF documents, which would be ideal for posting your résumé for employers to see, or a whitepaper you’re particularly proud of. To see some of the media used by LinkedIn members go to Sabrina’s article where there are samples of various types of media. I think you’ll be impressed. I was. This entry was posted in Career Search, LinkedIn and tagged Audio, Image, LinkedIn Media, LinkedIn profile, Neal Schaffer, Online Portfolio, Video on July 16, 2015 by Things Career Related.